From cook-outs to picnics, potato salad is a quintessential summer side dish. And if you don’t already have a tried-and-true classic recipe to fall back on, well then, today’s your lucky day! This potato salad is creamy and slightly tangy, thanks to a combination of mayonnaise, sour cream or yogurt (take your pick), apple cider vinegar, and two kinds of mustard. It also features dill pickles and sweet pickles (because why use one when you can use both?!) and hard boiled eggs for good measure. 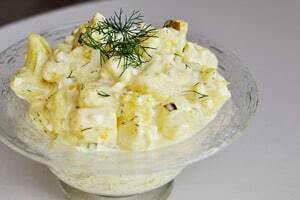 But for me, the fresh dill takes this potato salad from good to great. Dried dill would certainly work as well, but with an herb garden on steroids these days, I’m happy to throw fresh herbs into every dish possible. Now it’s hard to wax poetic for too long about potato salad. So instead, I’ll curtail the recipe commentary here to tell you a little story about this particular bowl of potato salad. I do most of my cooking for this blog in the middle of the day when the natural light is at its best for taking good pictures. And if I’m lucky, that cooking/photo-taking time coincides with naptime for my baby and my three-year-old. 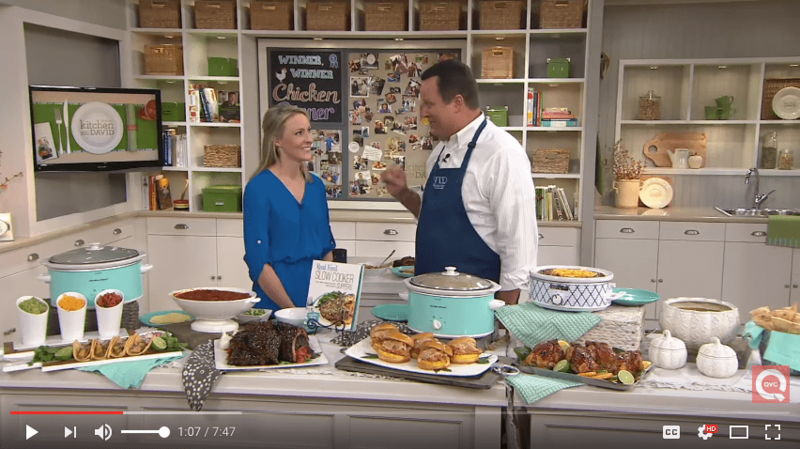 Well, this past weekend, I decided to cook in real time. I fixed this potato salad leading up to dinnertime with plans of snapping a few quick pics before it was time to eat. I did take a few photos, and then my attention was momentarily called elsewhere. Not 10 seconds later, I heard a loud CRASH and my three-year-old’s immediate exclamations of, “I didn’t mean to, Mama! It was an accident!! 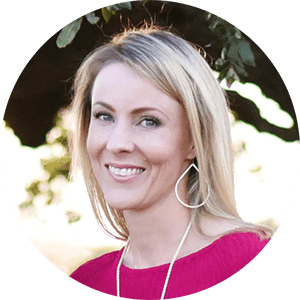 !” And there on the tile floor were my carefully-styled mound of potato salad and one of my favorite glass serving bowls, splattered and shattered everywhere. I sighed, cleaned up the mess, and we proceeded to get on with dinner. There actually was a little bit of potato salad left in the original mixing bowl that I had used to make it, so I divided that between our plates and we each got at least a little taste. And he then proceeded to throw a tantrum over the potato salad that was no more, thanks to his own doing. Isn’t 3 a magical age? So I hope you’ll forgive me if the photo featured on today’s post is not my best work. And if you make this potato salad, I hope for your sake that any three-year-olds in the vicinity stay far, far away from it. 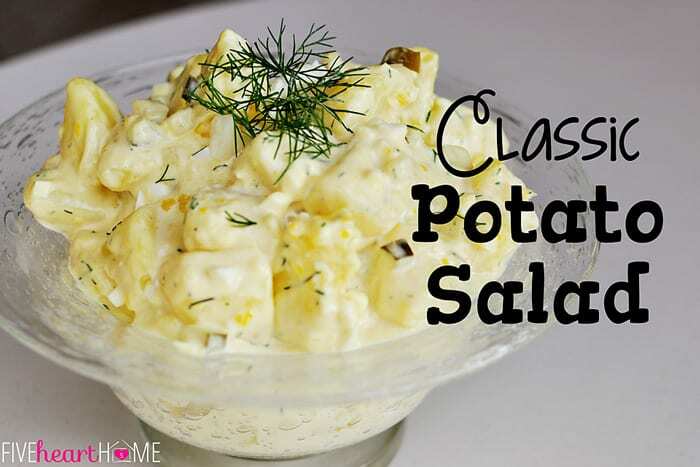 This creamy, tangy potato salad is a tasty complement to barbecue or perfect for a picnic! Place cubed potatoes and whole eggs in a large pot and cover with cold water. Stir in 2 tablespoons salt. Bring water to a boil and then turn down to a simmer. After 12 minutes, remove eggs. Continue simmering potatoes for 3 to 5 more minutes or until tender. Drain potatoes and allow to cool. While potatoes and eggs are cooling, make dressing. Mix together mayonnaise, yogurt/sour cream, vinegar, sugar, mustards, pickles, dill, salt, garlic powder, and pepper until smooth. Dice eggs and add to mayonnaise mixture, then pour dressing over potatoes and stir gently until they are evenly coated. Allow to chill for several hours before serving. Garnish with additional dill, if desired. What a sweetheart, Mama may I? That is so cute. 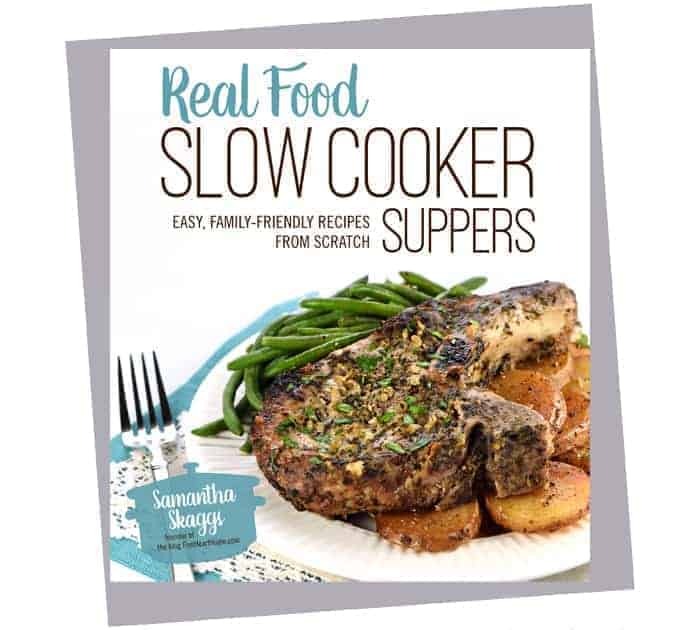 Delicious – thank you very much for a great recipe. Made it today for our “late” 4th of July party.